The Lone Peak 4 is a fresh take on Altra's original trail shoe with several significant updates. The new upper will include the same integrated tongue as the previous version but now with static webbing for better cinching ability, a flexible strap overlay for a roomier forefoot fit and a sandpaper textured toe cap. 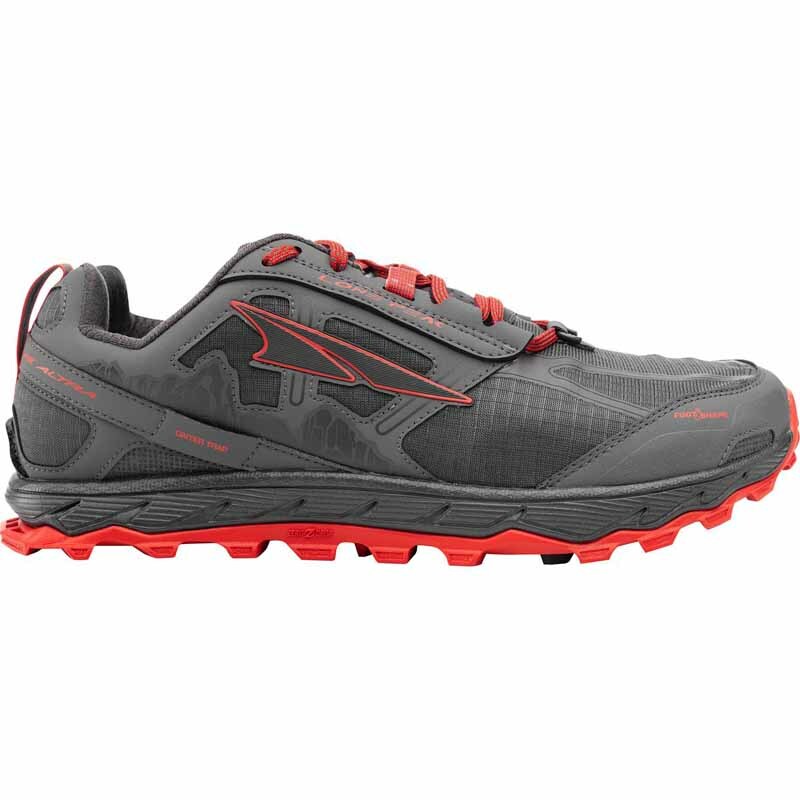 In addition, breathability is improved by way of draining mesh in the heel and forefoot and the decoupled nature of the TrailClaw, as well as multi-directional, carved lugs for improves traction and reduced weight. To top off this already awesome shoe the StoneGuard is completely updated to resemble the skeletal structure of a foot for better performance and dynamic flexibility. ZERO DROP: Places your heel and forefoot the same distance from the ground to encourage proper, low-impact form throughout your trail run. A-BOUND CUSHIONING: Energy return compound sits directly under the foot to reduce ground impact and add a spring to each step.